We had an amazing time at my sister’s wedding! The night was like a roller coaster, lots of emotional moments filled with tears and many laugh-worthy highlights. We worked so hard to pull everything together – up to the very last second. 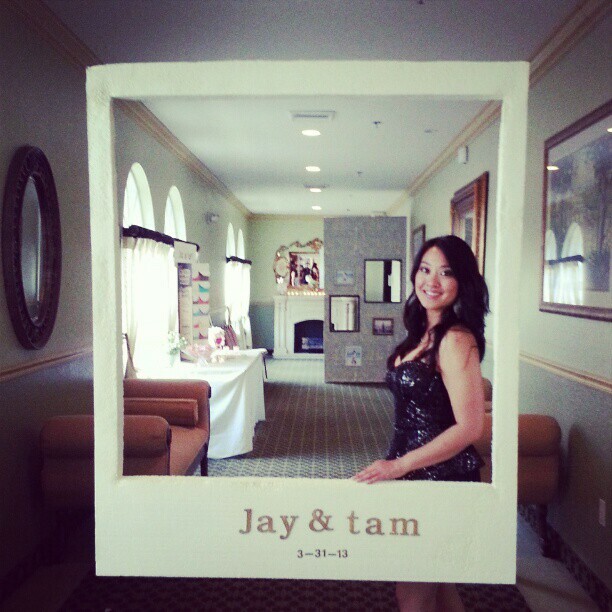 I was running around like a chicken w/o a head finalizing all the last minute details. In the end, it was so worth it and beautiful. Here are some quick phone shots from my Instagram. 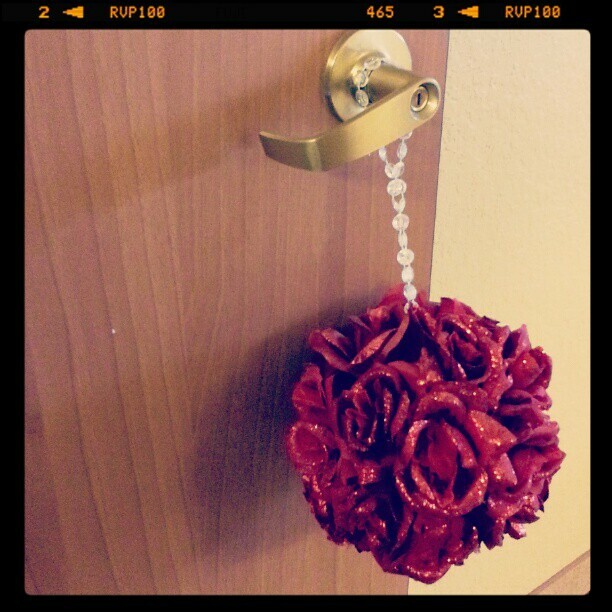 A rose ball made by me and my oldest sister (we took care of all the flower arrangements). 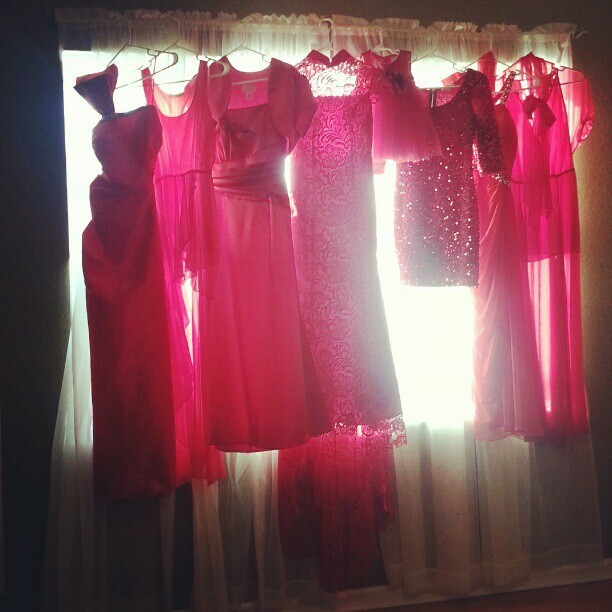 All the girls’ dresses including my mom’s and Zoey’s. 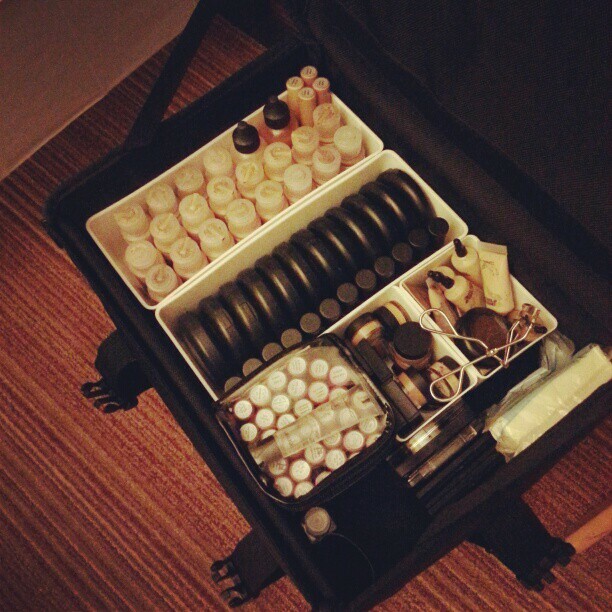 Makeup started dark and early! 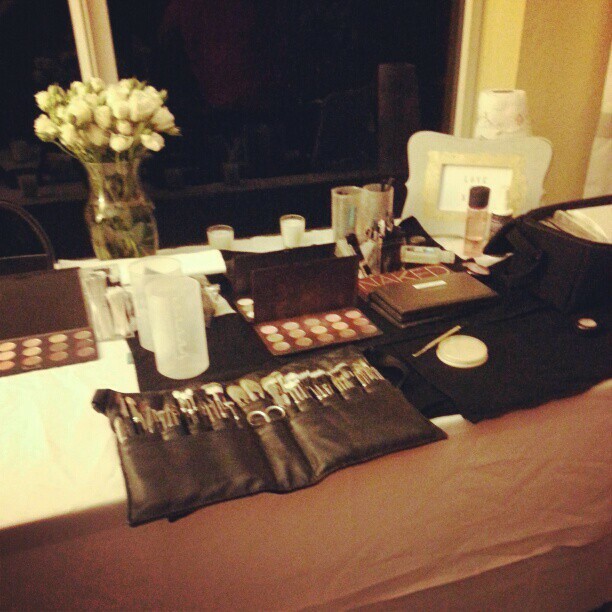 My sister Xanh set up bride’s table. 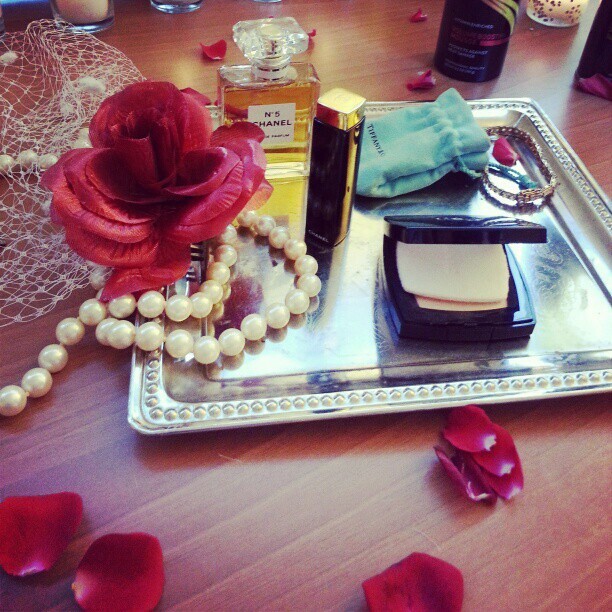 Fresh rose petals scattered the tabletop. In her red wedding dress. 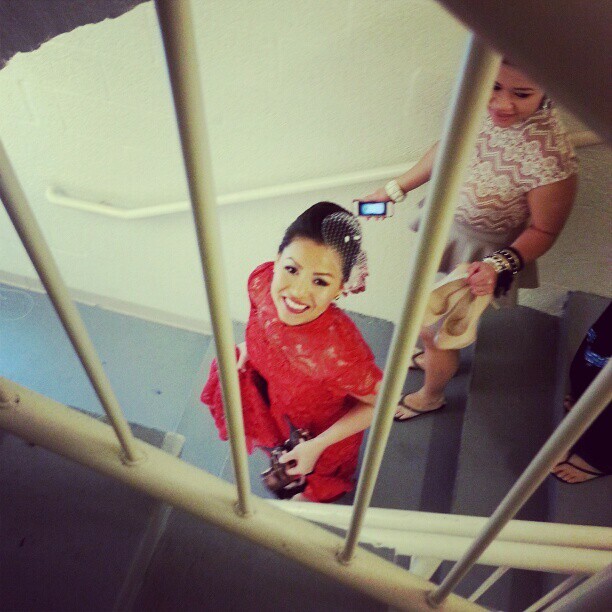 I wore a traditional Vietnamese dress for the early celebration. 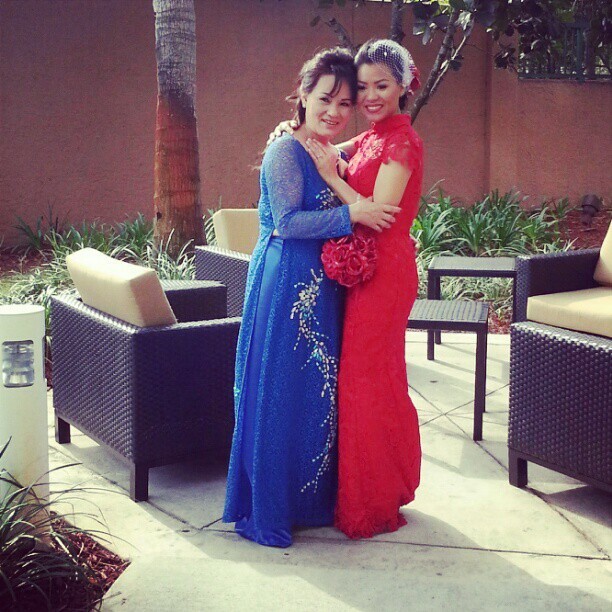 The bride and our mother. 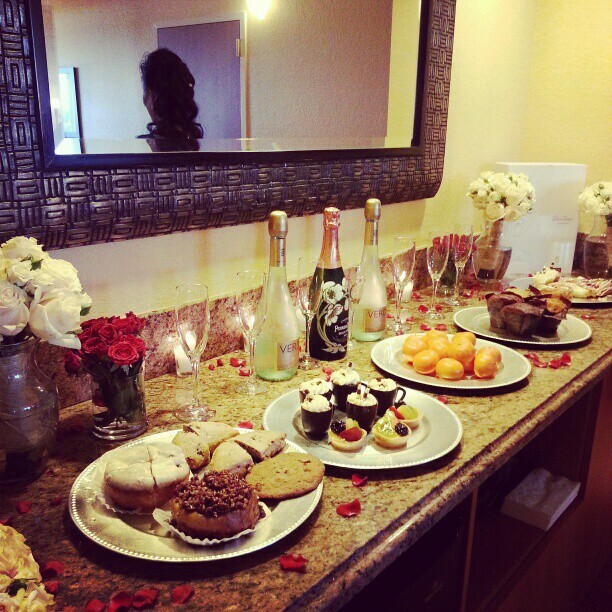 Breakfast and dessert bar for the bride and her bridesmaids in the bridal suite. 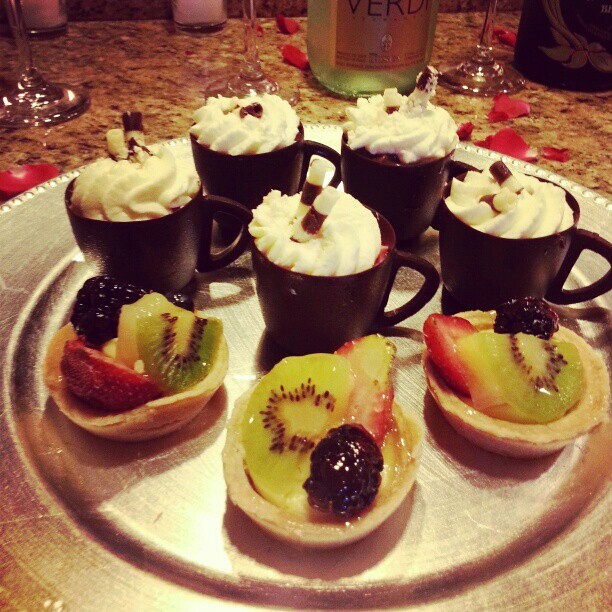 Mini chocolate expresso cups and fruit tarts. Putting her shoes back on. 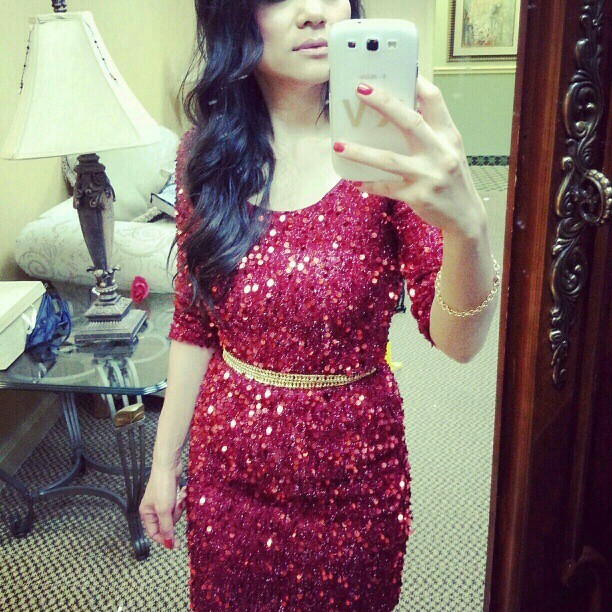 My dress for the night. Lots of sequins and sparkles. Proud of my dessert table! 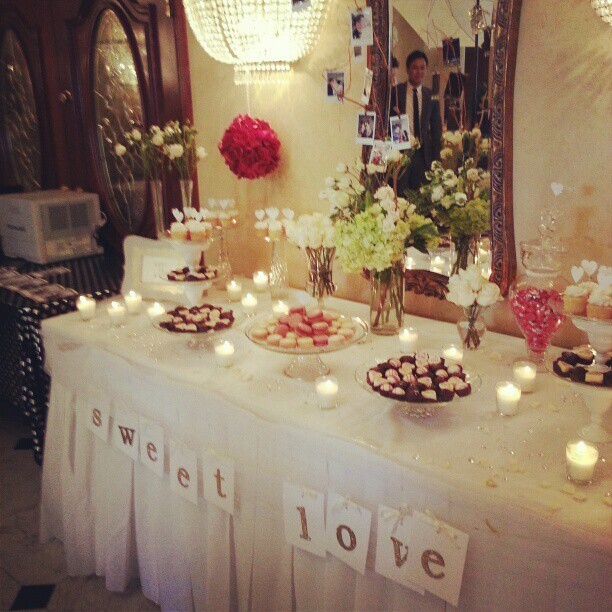 The sweet love sign was very appropriate, mini-cupcakes topped with white hearts, vanilla + raspberry macarons, yummy truffles, red kisses, a centerpiece floral arrangement with polaroids (from the day ceremony) hanging on the branches, and scattered white rose petals and diamond confetti on the table. 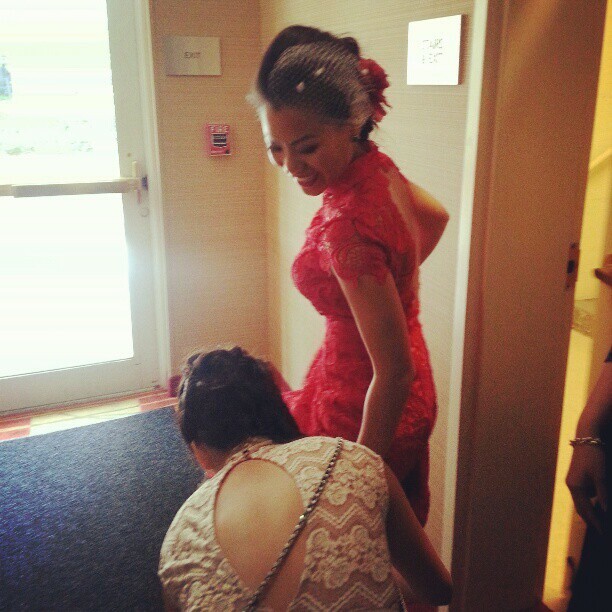 One of my younger sisters, Xanh (she was the commander in chief for the night- aka wedding nazi). Dr. Yu is smart, funny, and a great dancer. Can’t ask for more. My brother’s a lucky man! 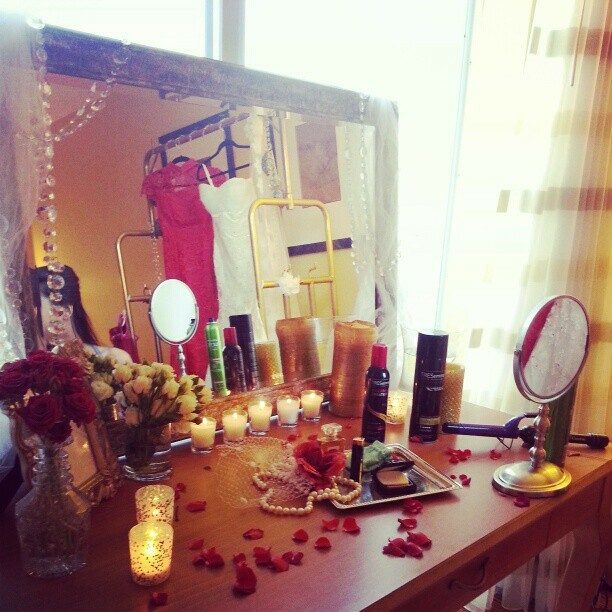 Btw, can you also see the picture frame wall in the back right? 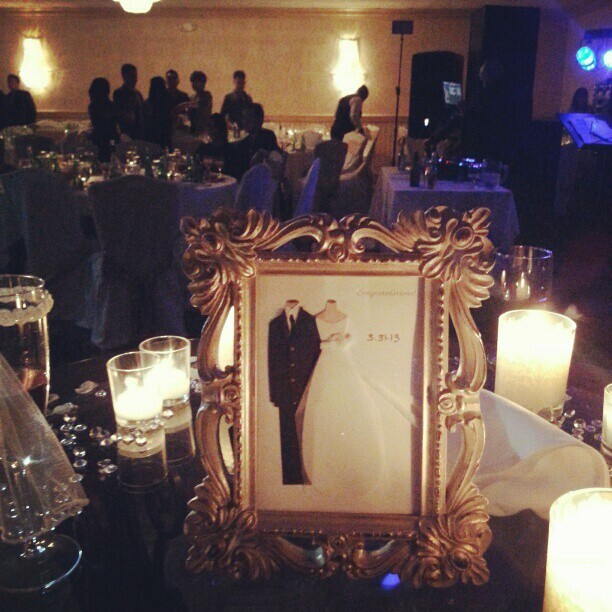 Both the wall and polaroid were made by the bride and groom for the photobooth room. Nice creative concept! 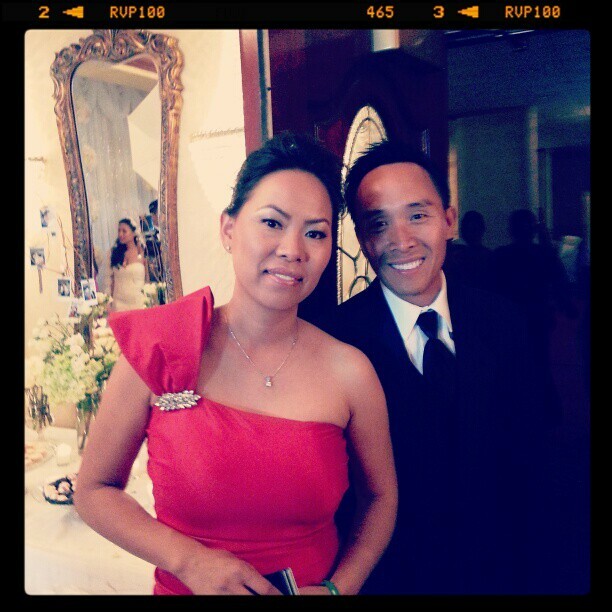 My oldest sister and her hubs. She was my right hand assistant. 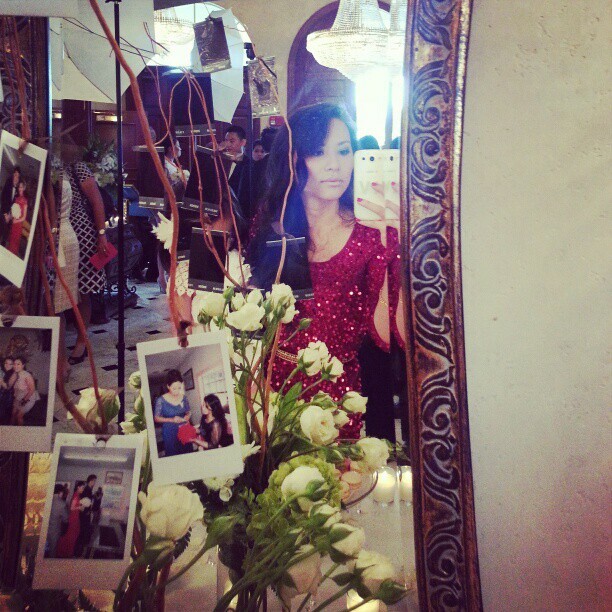 A peek at the bride in the mirror. Can you see the mini polaroids hanging from the branches? 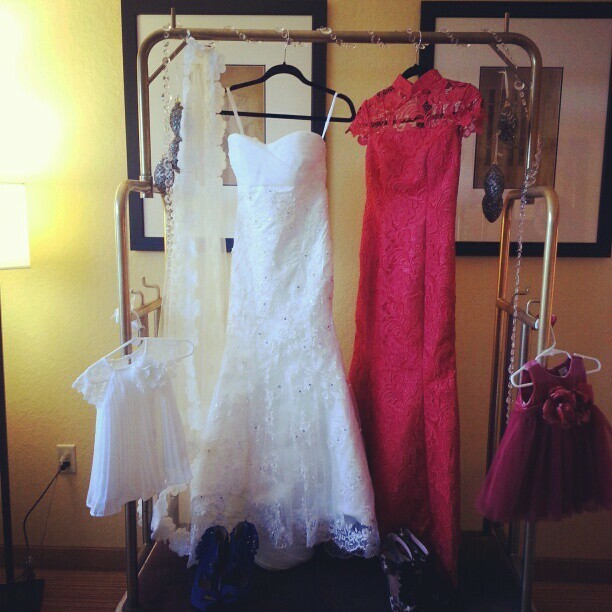 Her two wedding dresses. Notice Zoey’s color matching dresses on the sides. Precious! 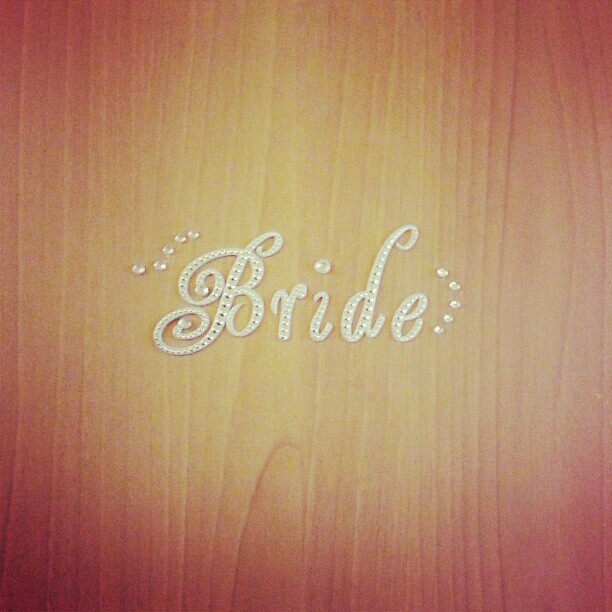 This wedding card’s price tag was RIDICULOUS but worth it b/c it was signed by all of the bride’s 5 sisters and framed. 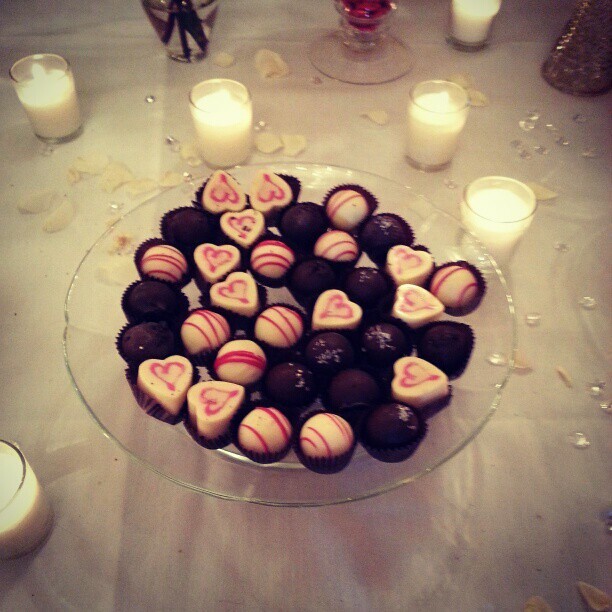 We placed it on her wedding cake table. My sister wanted an old glam vintage feel and I think we captured it perfectly. Pics from my Canon coming soon…there’s so much more to this night. For instant happenings, follow me on instagram! Hi How do you get the poloraid frame toe stay up. Are you guys stringing it to the cieling? Doesn’t seem like its there. Or are guests holding it somehow. 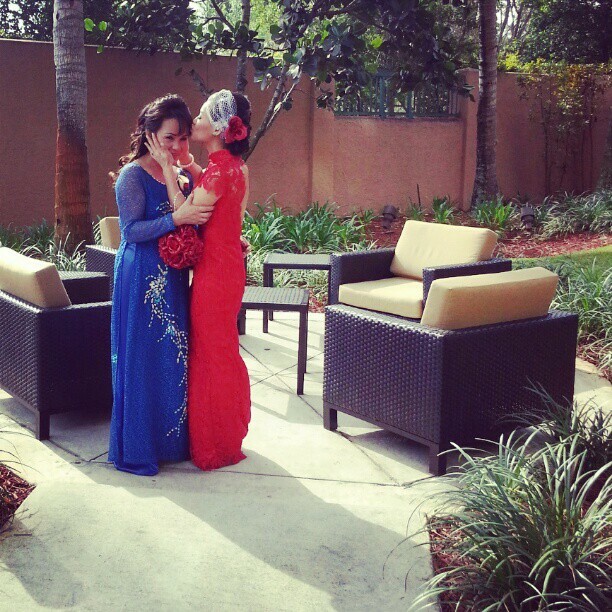 Your sisters wedding looks full of happiness & love! I really love your sisters dress, it’s gorgeous, would you be able to let me know where she got it?! Thank you! Oh my gosh. I’m in love with your sister’s dress! What brand is that? I’ve been trying to find a dress like that FOREVER. Kellie, everything is in spectacular taste: I would expect nothing less! But the thing that really stands out is your pride in and love for your family. Congratulations to all of you. 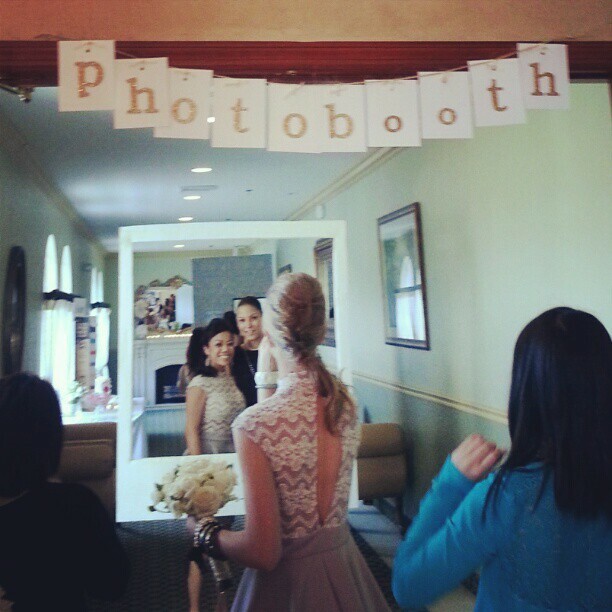 Wow what beautiful pictures, and a fab idea with the photo booth. What a lovely wedding – looks like there was a lot of love & happiness 🙂 I love the dessert table & Polaroid “photo booth”! Fantastic! There’s so much old beauty in this! I could see the efforts you guys made for this wedding! Great pics!! Can’t wait to see the rest! 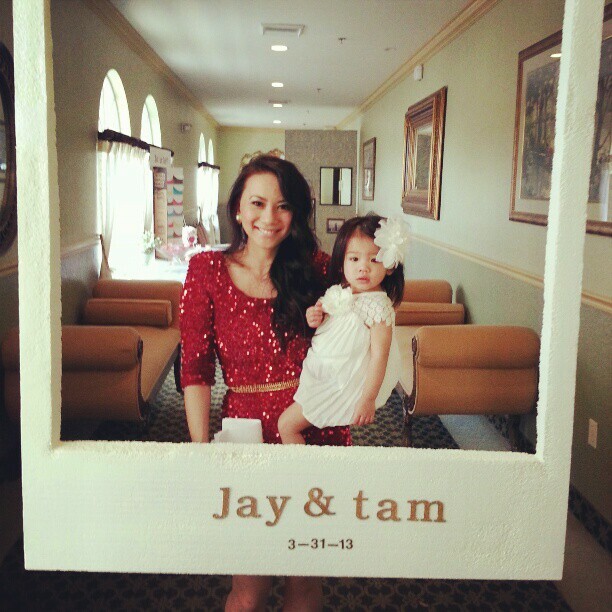 What a beautiful wedding–the red dresses are just gorgeous. What a lovely thing to share. how gorgeous! seriously! the dresses, the decoration, wow! Lovely! So classy and elegant! What beautiful ladies! And the dresses and decorations were so nice! Hope it was a wonderful day! 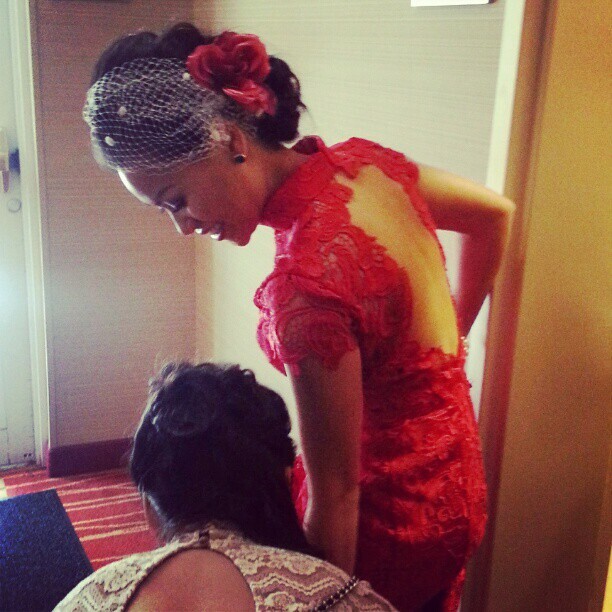 absolutely loved the brides red dress and your sparkly red dress. Sweetie, thank you so much for sharing these amazing moments with your readers. All you sisters look so much alike & beautiful. Your mommy must be so proud! 🙂 wow. I hope the bride had an awesome time. You and your family are so beautiful and stylish! Thanks for sharing with us! !